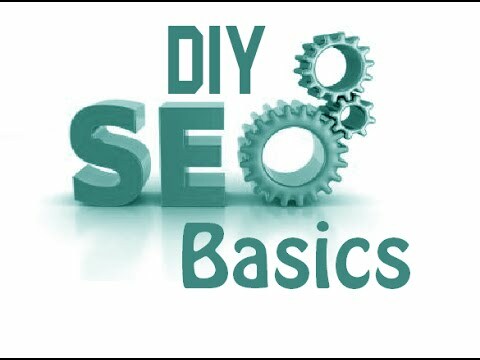 SEO is an immensely vast subject, with an ever-increasing literature on the best SEO practices. SEO does not come with a manual. It is work-in-progress, with new strategies and methods added to the concept every year. In this article, we will focus on five basic SEO strategies that you can understand and implement today. If you are the only responsible person for site SEO, this tip isn’t for you. However, if you are a business owner employing an SEO team or outsourcing the SEO process, you need to be aware of all the changes made by the authorised people on your website. Even a slight change on a page can drastically impact the SEO. You can ask the authorised people to share project report, but nothing beats tracking real-time changes. Tools like Change Detection, Visual Ping and Page Change Monitoring helps to keep track of all the changes made to website pages. You can setup alerts or a scan frequency for tracking. In fact, this adds a layer of security against hackers because the tools scan the whole page and if any malicious codes or poor backlinks are built without your knowledge, they can be easily identified. Put on the Sherlock Holmes act and start stalking your competitors. In fact, if you are building a new business in a new market, competitor tracking should be on the priority list. Keeping track of the competition helps to understand their marketing activities such as their backlink profile, content marketing activities, content publication frequency, keyword optimisation, and more. Sometimes competition tracking seems unjustified because of a lack of time. As the business owner, you need to focus on your business. True, but there is a solution for the problem. Start using technologically advanced tracking tools like AHrefs, SEMrush, SpyFu and BuzzSumo and automate the entire process. Set up weekly or monthly reports delivery schedule and remain ahead of the game. Actively tracking competitors helps to discover their traffic generation methods and other aspects of technical SEO. SEO isn’t about focusing on the primary keyword. Recent changes in the SEO industry and lots of case studies available online shows that businesses should actively focus on long-tail keyword variations as it helps to segment the audience further and deliver useful content. In fact, the primary keyword can be a generic one but the long-tail keywords often contain buyer intent words, and you need to target them to generate any revenue off the business site. Use tools like Long Tail Pro and Wordstream to identify the long-tail keywords and incorporate them into the content. While a vast subject in itself, let us stick to the basics. With an increasing adoption of smartphones, adhering to mobile SEO standards is becoming essential to make a business searchable and discoverable on mobile devices. The impact of mobile search on business cannot be ignored. Google is already measuring the SERP based on how much a website is mobile-friendly, giving every webmaster a reason to keep tracking the mobile rankings and take cognizance of mobile ranking fluctuations. Apart from external tools, use the Search Analytics report on Google Search Console to understand the website’s mobile search value. Compare it with the desktop and laptop report to find the problem areas. If a business caters to a specific geographical area primarily, analyse and implement local SEO factors. Begin by creating a Google My Business page and get it verified – a tremendous SEO boots. Google is increasingly becoming hyperlocal, and when people search for places on their mobile device, they want to see the relevant and actionable information. For example, if you sell pasta in Florence and if a user searches for “affordable pasta in Florence”, your business listing with directions, website redirection, and contact number should come on the first three search results. Analyse the business vertical and comply with the local SEO strategies. Use the Localised Ranking Tool by Bright Local or SERPs Keyword Rank Checker to measure the current local SEO compliance level. SEO is a dynamic field. Keep on learning the latest methods and if required, implement them in the business.